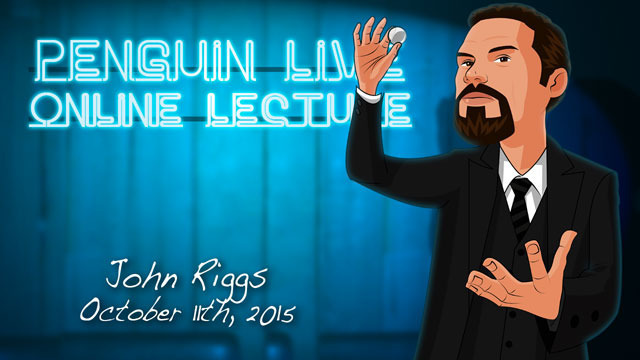 Today, when you order "John Riggs LIVE", you'll instantly be emailed a Penguin Magic gift certificate. You can spend it on anything you like at Penguin, just like cash. Just complete your order as normal, and within seconds you'll get an email with your gift certificate. John Riggs LIVE (Penguin LIVE) Learn loads of real mentalism from this professional entertainer, author and strange person! SUPPORT LIVE MAGIC. DOWNLOAD THE FULL LECTURE TODAY. At age six, John decided he wanted to be a Wizard when he grew up. He's been studying magic since -- 50 years later! Today he is a professional entertainer, author and strange person. During the 1982 Knoxville World's Fair, he successfully solved the Rubik's Cube while blindfolded. Professor Erno Rubik thought this was the most amazing thing he had ever witnessed. John was one of the featured entertainers at the 2008 Inaugural Ball, and he is a popular guest on television and radio programs. He has even read palms over the radio! He also enjoys speaking for Civic clubs on a variety of topics including Intuition, Memory, and Weight Reduction. His books, written under the name Jon Saint Germain -- Runic Palmistry, Karmic Palmistry, and A Lover's Guide to Palmistry-- are available in bookstores and from his website. 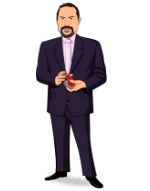 Because of his eclectic knowledge of all things magical and psychic, he has been retained as a consultant for a series of programs for the Learning Channel. John practices what he preaches. Struggling with a lifelong eating disorder, he applied his techniques to solving the riddle of why a person would consume food when he isn't really hungry. He found answers, and his weight dropped from almost 300 pounds to 200 pounds in a year and a half. John is a graduate of the University of Tennessee, where he majored in Studio Art, Pellissippi State Technical Community College, where he majored in Mechanical Engineering, and Indiana University, where he earned a degree in Literary Illustration. Now he reads minds for a living. Funny how things turn out. 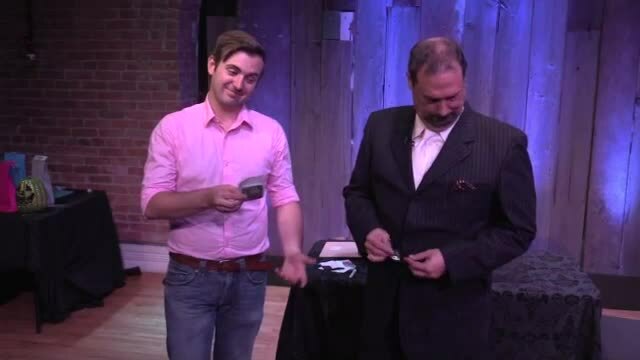 If you've never been to a magic lecture, there's never been a better time. Sunday, October 11th, at 7:00pm, we're live-streaming John Riggs LIVE in a spectacular 2-hour interactive online lecture. Watch, ask questions, and learn things you won't find in any book or DVD. Purchase the John Riggs LIVE product. This is your ticket. On Sunday, October 11th, anytime before 7:00pm Eastern, click the MyPenguinMagic area at the top of the Penguin site. You'll see the livestream appear 1 hour before showtime. At 7pm sharp, John will hit the stage and begin his JAM-PACKED professional lecture. John covers a lot on this fun and enlightening lecture, but there is one method I found particularly valuable. It's what John describes as an impossible to get caught method for secretly reading what your subject has written on a slip of paper, designed specifically for one on one private readings. 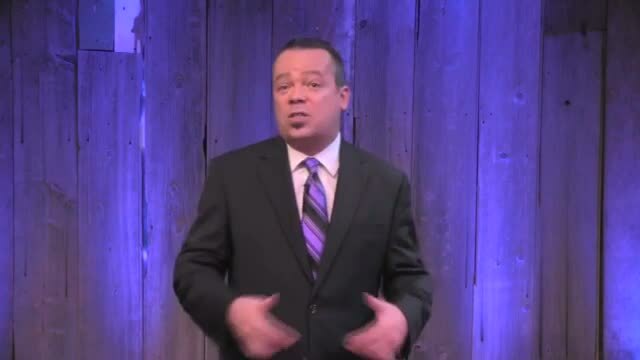 John tells the story of how two psychic readers each paid him $5,000 to learn this one method, and that it is one of the best ideas he's ever come up with. This one technique made the John Riggs lecture one of the best mind reading purchases I've ever made. John Riggs didn't come off like a jerk. He just has a dry sense of humor. Emphasis on the humor because John made me laugh several times. I made an appearance in two variety shows during the 2015 holidays and used just one of the methods in this lecture for both of them. I combined it with a couple of other principles of mentalism from other sources to create a hybrid MONSTER of an effect. After the first show I did, using ONLY the above mentioned effect for the entire routine, my friend told me that several ladies in the audience were asking her and others if I had a "special gift". Once again, I got this response after using the "hybrid monster effect" that I may never have thought of if I hadn't watched this lecture! So yeah, I'd have to say that despite some of the negative reviews this is a GREAT lecture for Mentalists who know how to create an ambiance and / or how to recognize a powerhouse principle when they see one. Big thanks to John Riggs!!! There is a lot of fantastic material here for mentalism. And I stress the "For Mentalism" part. This is character driven work where presenting an amazing program for your audience is key. This is not stuff to mix into your magic show. This is a lecture I will go back to again and again to reflect on John's thinking. John is a great thinker and he is presenting solid and useful material. Even the conversation at the end is worth more than the price. Top notch mentalism lecture. Made me run out the next day and buy scrabble tiles to use in an effect taught on this lecture using the cleanest, most full proof, easiest billet read Ive ever seen. Very nice. John is a genius. His ideas are great and he doesn't mind showing the finer touches to producing an excellent effect. I am not sure what the four people who reviewed this first liked about this lecture??? John Riggs may be the greatest mentalism thinker of all time, but he didn't show it in this lecture. I am all for simple magic. I actually love it being that I am not over skilled. I don't need the methods to look like a Shin Lim routine. However these methods were all dated and insanely simple. The first time I watched a penguin lecture and I knew how the trick was done before he even did the trick. 11 of 22 magicians found this helpful. I own all videos and books by John Riggs and I waited with impatience to watch his lecture here. Frankly, I am excited. This is one of the best lectures I've seen at Penguin. 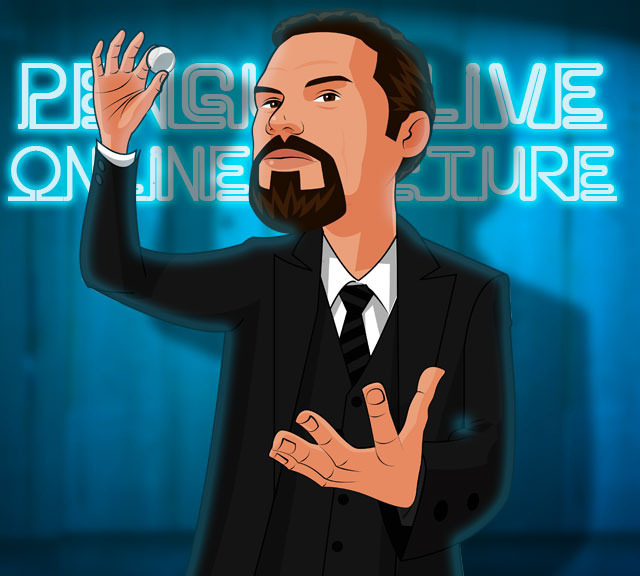 John Riggs delivers good and solid advice on classic routines and principles of mentalism. Quite often it is just a sentence which gives you an insight in the mind of a working performer who made a career lasting over many years. Time tested methods and presentations for every performing field: you could do these things for your friends and family or for paying audiences of all ages. John Riggs knows the real world workers. Sometimes the lecture seems unpolished or not that well prepared, but to me it it was a good one! I got one routine from it and I`ve heard many (many) good advice on presentation of mentalism and the performer, the mentalist, himself. If, on the other side, you're looking for "new routines or methods" you won't find them here. Because there are none. But if you are looking for real world routines, go to Osterlind, Karmilovich or Riggs (for example) and you are able to listen and learn from people who are making a living entertaining paying audiences for many years. A bit too much hubris for me but otherwise a pretty good magician. John Riggs is a professional strange person and mentalist who's ideas are maybe just a little bit scary. The tricks he taught are not only some of the strongest and strangest tricks you can learn, they are some of the most unique and spooky. I first learned of John Riggs from Psychophysiological thought reading, and I thought- great! I can learn some mentalism. But I got so much more. Riggs thinks like a magician, and bring his years of experience to the table. The effects are almost too good- good enough to start my own cult! If you are a mentalist and want to take it to the next level- Well... Go away because I want to keep all these secrets to myself.